Hands of Stone - BUY ON DVD! 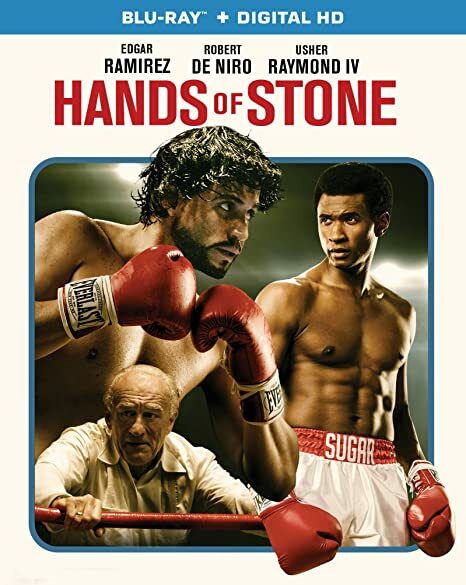 Hands of Stone follows the life of Roberto Durán (Edgar Ramírez), the Panamanian fighter who, with the help of his trainer Ray Arcel (Robert De Niro) made his professional debut in 1968 as a 16 year old and retired in 2002 at the age of 50. In June 1980, he defeated Sugar Ray Leonard (Usher Raymond) to capture the WBC welterweight title, but shocked the boxing world by returning to his corner in their November rematch, famously saying the words 'no más' ('no more'). THEN SEND IN YOUR NAME, ADDRESS AND 5 COMMENTS TO contests@efilmcritic.com. Put "DON'T FORGET ANA DE ARMAS" in the subject line and cross your fingers. We will draw names and you could receive a copy.. Only 1 entry per household.